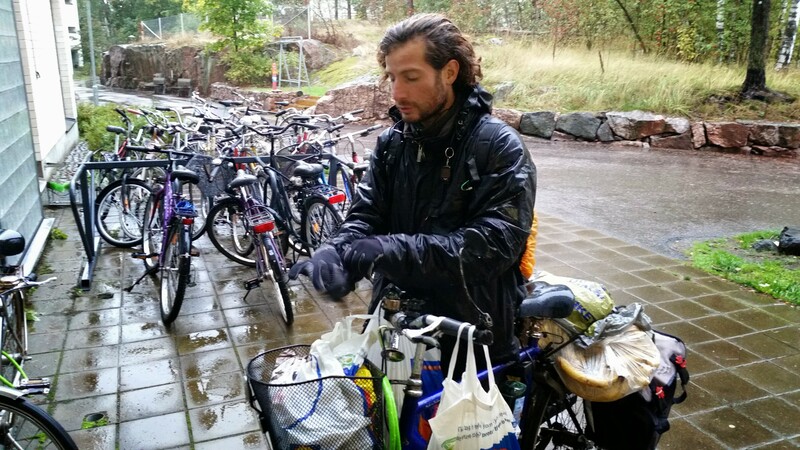 Tattoos, sauna, coffee, smoking, alcohol, many trees around you and stone under your feet instead of soil. Stereotypes or real characteristics of Finland? It’s hard to draw a line between facts and personal mental representations, but one of the facts is that the Finnish nose is really peculiar, you can recognize it directly, the central part, between the holes, is a bit large at the bottom part. Really funny and sweet. One of the things I learned, not in Finland, but in the Navy is how to sit on a wc, now that I travel is quite useful. 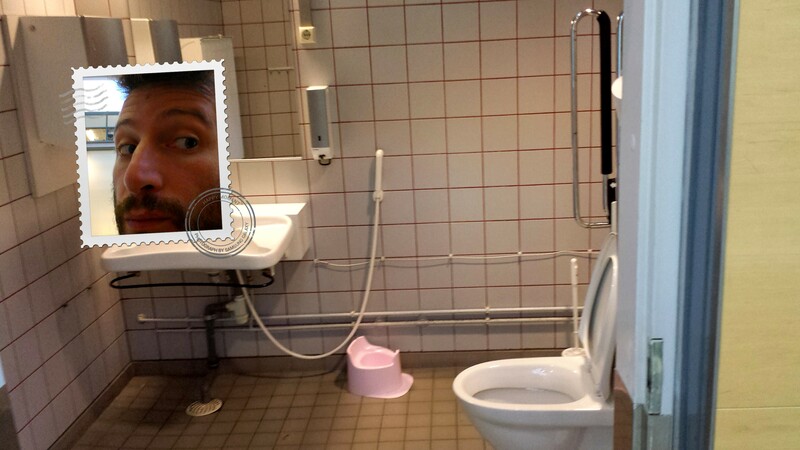 To stay in topic of wc, I can say that toilets in Finland are amazing. The shower bidet is just divine, I suggest you to get to know it. Finnish girls have a really particular way of walking, completely straight on their spine, they don’t move the head at all and they just point forward with their eyes, it looks almost like a march. Having contacts with finnish women I discover that loving and caring too much for a woman in Finland is equal to lose her, good to know. I did learn something from women in Finland, for example how to recognize mushrooms and how to down from stairs without light, I tried it several times and is curious and interesting. But I travel to find a reason why to stop traveling, for the same reason I did one night stands. Ah, you would think, why do you just write about girls? Like fighters in the aikido do (to stay in theme of martial art), I use external power and energies to get my own benefit with no use of my internal power. Like in yin-yang, I don’t lose my yang by using other’s yin. This is for sure useful while sleeping in the forest…. The forest is one of the most comfortable place to sleep, there is nothing as magnificent as opening your eyes and seeing the green leaves on the trees, hearing birds and other animals peacefully living their life. A domestic cat between the trees of the forest, he looked like a fish trying to walk, not even able to make few meters without hurting himself, how sad. Sometimes life is really paradoxical, in Finland, one of the richest country, I learn one of the thing done mostly by (non-economically)rich people: “dumpster diving”. But actually the day there will be no food in the trash, or even better, no trash at all, there will be no poor neither. 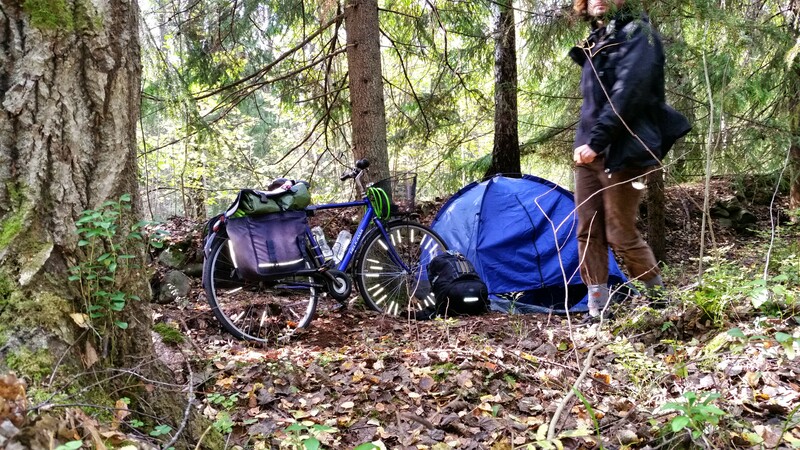 During the Finnish winter I set down a new polar record, cycling at -18 for three hours in total, in one day! While cycling daily at -25 for about one hour. 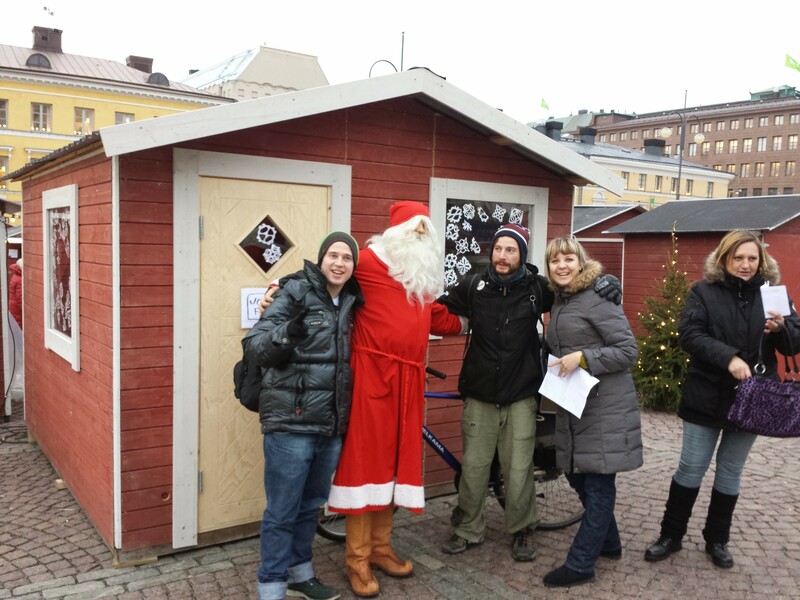 As reward for my nordics efforts I also met Joulupukki, the real Santa, which lives in Lapland and nowhere else. I have to say that he was quite shy. To be shy is just a way of damaging yourself and get others dominate you. This is something I think, which applies not just to Joulupukki’s, but to Finnish men as well, which I find quite shy. While the women are not shy at all. We often have more fears by thinking than by acting, when you think too much about actions you alienate yourself from the reality becoming frustrated and fearful. If I ride knowing and thinking that my destination is close to me and I should arrive in short Time, I will be anxious, hurrying up and ruining the trip. If I just ride without the thought of My destination, I enjoy My time. The same for loving and living. Home addresses in Finland are not like in other countries, one house number may be the same for one, two, three, even more than ten buildings! Then there are letters to identify buildings: a, b, c, d…¢, §, Z! Then eventually there are more numbers coming after the letter … 1….2…3…5…8…1018586. House numbers, letters, numbers…. And locals mostly don’t know where an address is if you ask. I am in a shop, outside is raining and I really need to use my phone to find the address of my host. They don’t understand the utility of my act. But it works! There are societies where public social services are good, other countries have just local people that help each other, the worst place to be is where none of the two things is to find. Traveling I just realize that the only way to get to know a country or a culture is to go there, nobody can explain you the feeling and the experience of visiting a place, no matter how extensive they talk or write about it. One thing that I hate are airports or airplanes, they make you move so fast that you don’t realize where you are, they all look the same. ah, I almost forgot to mention: if Finland may be not the country of rabbits, at least Helsinki is!